I will update this post when everyone upload their vídeos. People abusing Tree of Sephirot bugged healing. When using Tree of Sephirot during invicibility the healing efect last forever and people are becoming almost invencible healing over 15k per sec. Edit: Aparently it’s not during invicibility but in the invicibility respawn spots, don’t know the exact way to reproduce, but since this is fixed in KTOS IMC is already aware of the problem. Implement the fix here ASAP. 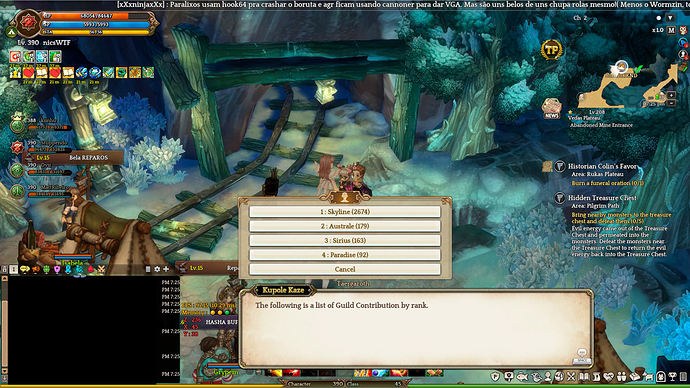 Intense VGA error when entering, there is a percentage higher than 50% when entering Suvilinas Lair to get VGA error. The channel crashed and the PvP is now disabled and the dragon vanished. I hope this is some GM that saw what was happening and disabled the content. Please fix those things and erase the ranking before opening again. This is Sulivinas Lair right now, people just chilling inside. Your Guild has done this last week. And today the channel crashs, when your guild loses. Shame on you. What my guild has to do with the channel crashing? If you don’t have anything useful to say please refrain from posting here. Are you acusing us of abusing the healing when we didn’t know this? Please give us proof of your claimings. The hypocrisy of certain people is wonderful. Despite your post stating the truth, its a fact that your guild has acess to premium hack accounts, you force crashed the channel because you lost the Boruta fight. Also, you guys have been abusing this bug for years now, why only now you’re complaining about it here? OH YEAH, its because one person from your guild told us about you abusing it. I am not responding to flamme, sorry. If you want to flamme here instead of asking for the fix, be my guest, I will just ignore. 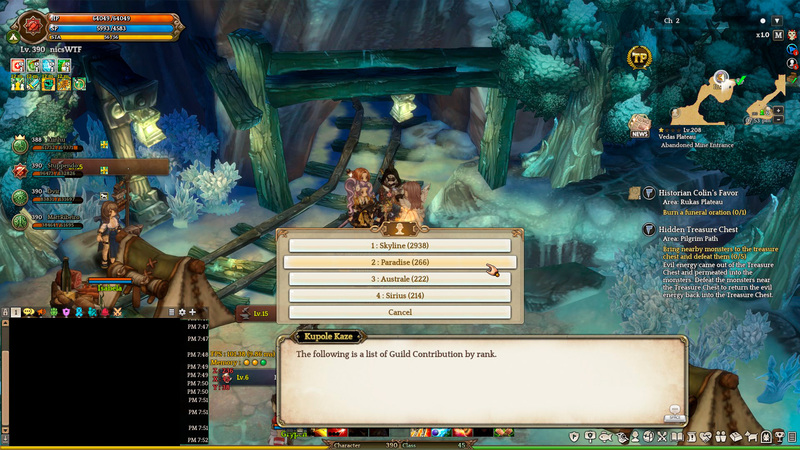 When the Paradise guild cast the bugged skill (allegedly) it is a feature, when other guild cast the same skill it is 100% a evil bug and all deserves to die in flames. I do not usually use forum, but I come here just to say that really the biggest pal does not have it. 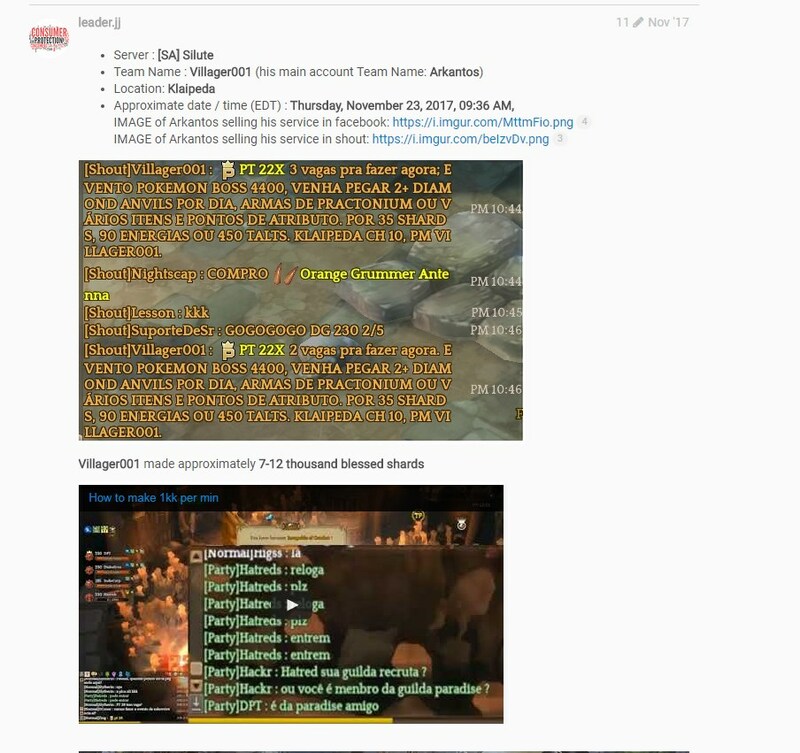 the guild that makes the most mistakes of the game come in the forum to complain about what it does. If you make this topic to complain, I’ll use it for myself. 1: People abusing Tree of Sephirot had problems with healing. Are you acusing us of being able to crash the channel and somehow disable Boruta? If yes, create your own thread and ask for investigation, this is not the post for it. If you don’t mind, send proof of us intentionaly abusing this like half of your guild was today and I will shut up. Arkantos is member of Paradise - Silute. 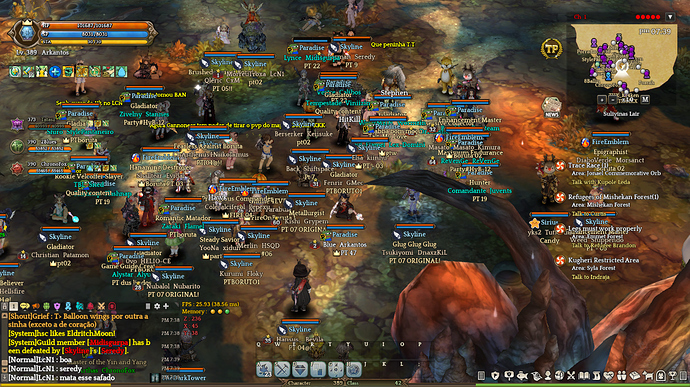 A guild of bug abusers, people who share premium hack tools and abuse every single bug and RMT in the game. You guys are cancer to our server, and you’re the reason why people don’t play the game. You’re not one, or two, or three hackers, you’re an entire, full, guild of abusers. FIX the bug…or start the work now. It is impressive the amount of problems that this boruta already presented, you are sure that the programmers are doing a good job, where goes the money of the goddness cube and cubbies? The server is not holding up the amount of players, the Ch has 100 seats and a guild can have 95 members, The brands every week has a dysfunction in some guild that has it, did a good job re: build and are killing the game week after week again.